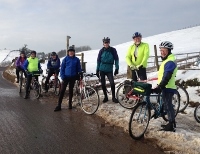 The cycling group, founded in 2007, meets once per month for leisurely rides of generally 25 – 30 miles in 4 – 6 hours including stops. The outings continue throughout the year (weather permitting), mainly on minor roads in Derbyshire, Yorkshire and Cheshire. We ride at an easy pace and happily wait for stragglers. A mixture of road, touring, hybrid and mountain bikes are used. Coffee and lunch stops – picnics in summer - are an important part of the day at nice cafes or pubs. The group includes some members from other local U3As, with all members being encouraged to lead a ride of their choice if they wish. 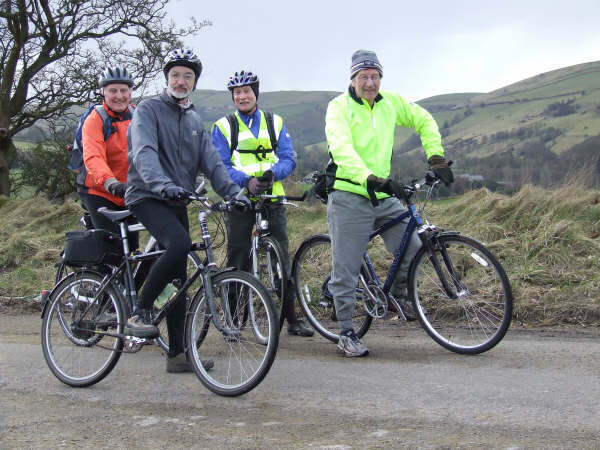 On a beautiful Spring day, although with a cool east wind at times, we cycled a 24 mile loop round Derbyshire, up hill and down dale, starting from Tideswell. 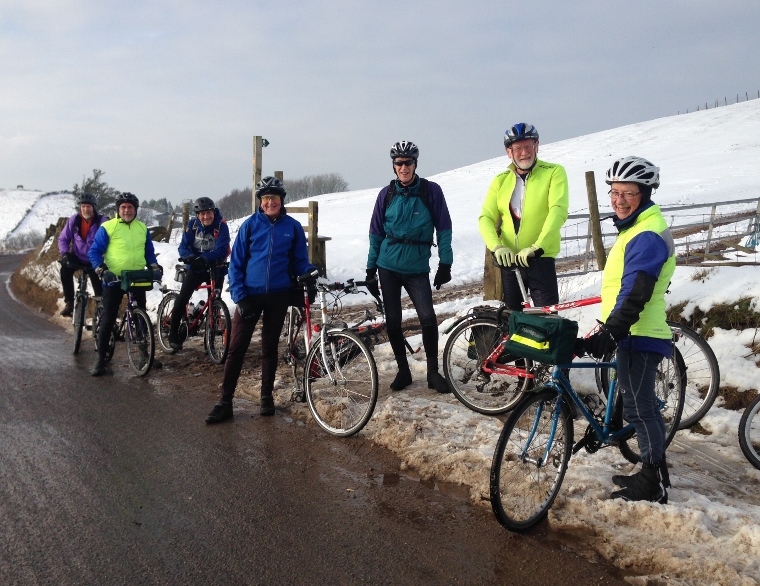 Our route took us up through Great Hucklow and Bretton, then down to Eyam for coffee. After riding through Froggat and Curbar to Baslow we picnicked by the river. After lunch we continued up via Hassop and Great Longstone to Monsal Head, then down through Monsal Dale, up through Cressbrook to Litton and back to Tideswell.